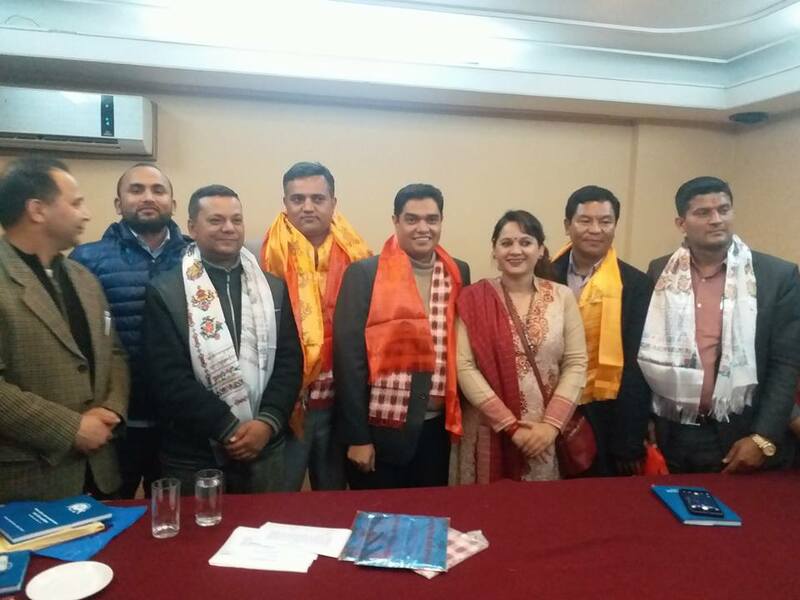 KATHMANDU, Feb 25: The Nepal National Tourism Entrepreneurs' Association has formed a new 51-member work committee on the occasion of its 2nd general meeting. The 51-member committee is headed by President Madan Kumar Acharya, with Senior Vice-President Ghanendra Bahadur Shrestha, and Vice-Presidents C.N. Pandey, Sitaram Sapkota, Krishna Kuman Aryal, Surya Bahadur Bhujel, Krishna Hari Khatri, Tikaram Gurung, and Rajendra Prasad Sapkota. The General Secretary of the committee is Purna Bahadur Kunwar, while the Joint Secretaries are Krishna Raj Bhattarai and Purna Chandra Bhushal. The Secretaries are Shiva Lamichhane, Kumar Thapa, Birendra Bahadur Adhikari, Yama Bahadur Khadka, Narad Kumar Luitel, Laxman Lamsal, Nawanima Sherpa, and Madan Bhandari. Kaladhar Baral has been appointed as the Treasurer, while the Co-Treasurer is Taranath Lamichhane. The first meeting has nominated Madhav Nepal, Bhuwan Pandey, Thakur Pandey, Pashupati Sharma, Suman Nepal, Wangchu Sherpa, Tom Sapkota, and Jaya Baral for the regional committee.